So far, attention has focused on the question of how prominent franchises such as the X-Men and the Fantastic Four could be added into the MCU. But not only will Marvel Studios be gaining access to some of the most iconic comic book heroes of all time, they’ll also have the opportunity to add a massive range of new cosmic forces into the mix. Prominent among these are Galactus, Devourer of Worlds, and the cosmic Phoenix Force. These are two of the most powerful entities in Marvel Comics, and their addition would drastically reshape the cosmic side of the MCU. 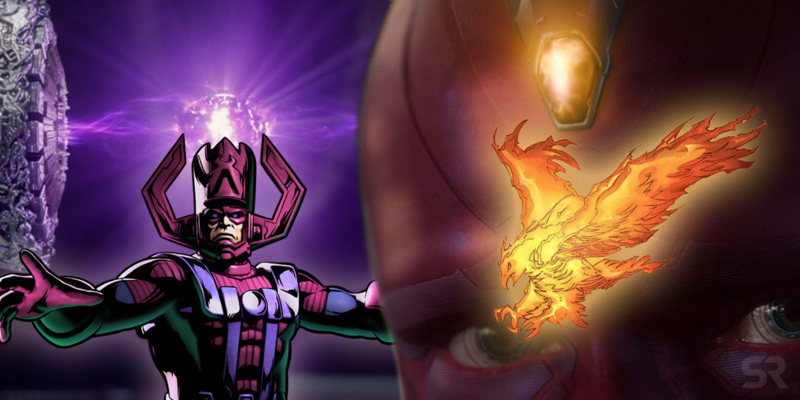 Of course, it’s possible that Marvel will simply reveal that both Galactus and the Phoenix Force have always been out there, perhaps occupied in corners of the galaxy that we’re yet to see on the big screen. But there’s another possibility, an easy way of retconning them into the history of the MCU via the Infinity Stones. And if Marvel takes this route, then they could even explain the origin of mutants in the MCU too. It’s important to understand that the MCU’s version of the Infinity Stones are very different to the one we’ve seen in the comics. In the MCU, Odin described the six Infinity Stones as “relics” of the universe before our own. The Collector went further in Guardians of the Galaxy. “Before creation itself, there were six singularities,” the Collector explained to the Guardians – and, through them, to viewers. “Then the universe exploded into existence, and the remnants of these systems were forged into concentrated ingots… Infinity Stones.” These mysterious “singularities” weren’t the only thing to survive the previous universe’s Big Crunch, either; according to Thor: The Dark World, the Dark Elves ruled that dying universe, reveling in a bleak cosmos suffering from heat death and entropy. The Marvel movies have been relatively silent as to the nature of the Infinity Stones. The closest we’ve come to a detailed analysis of one was in Avengers: Age of Ultron, when Tony Stark analyzed the Mind Stone. He identified a net of neurons, suggesting that the Mind Stone was more than just a raw cosmic power; it was some sort of entity in its own right. That raises a startling possibility; at least some of these Infinity Stones could actually be beings who survived the destruction of the previous universe, entities of far greater power than the Dark Elves. The Collector said these mysterious “singularities” were “forged into concentrated ingots,” but could a better description would be that these beings were trapped within the Infinity Stones. 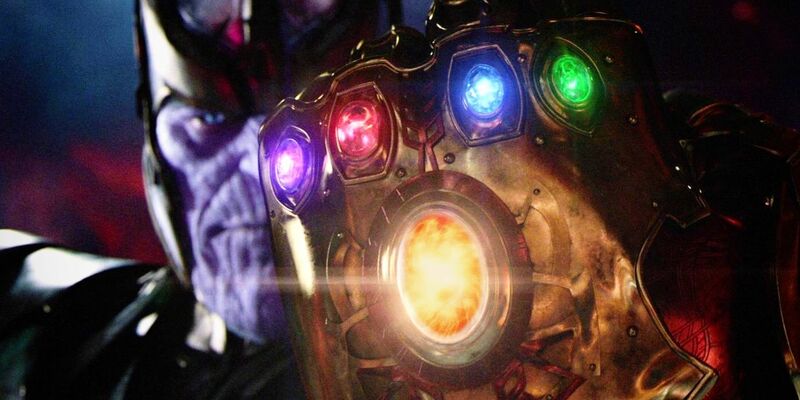 Marvel currently faces a difficult decision: what should happen to the Infinity Stones after Avengers 4? Thanos’s story is the logical conclusion of the story of the Infinity Stones, and once Avengers 4 is finished they need to be written out in relatively short order. The best way to do so would be to destroy them, just as Wanda attempted to destroy the Mind Stone in Avengers: Infinity War. But if some of these Infinity Stones are essentially prisons, then that opens up some interesting possibilities. 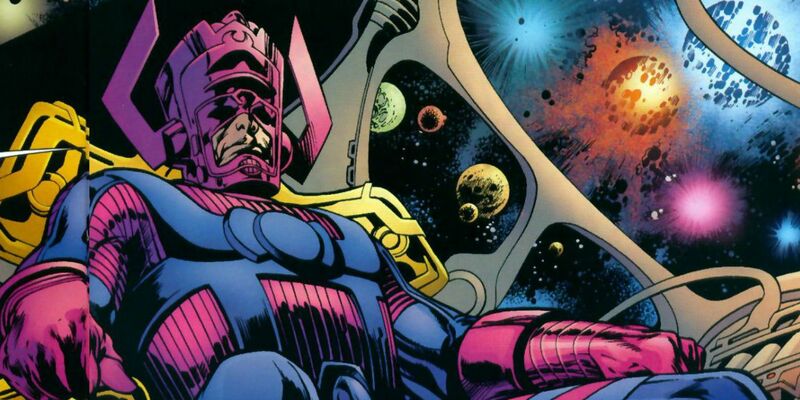 In the comics, Galactus was the last survivor of the previous universe. Originally a humanoid born on the doomed planet of Taa, Galan was an explorer who traveled out into the heavens to find a way to save his homeworld from the imminent Big Crunch. Although he failed, Galan himself somehow survived, and emerged into the newborn cosmos as Galactus, Devourer of Worlds. One of the most powerful entities in existence, Galactus burns with an insatiable hunger that can only be appeased by the consumption of an entire planet’s life-energies. He travels the universe, seeking worlds to bring him sustenance and to stave off the hunger for a time. Although Galactus is one of the most fearsome and terrifying entities in existence, the comics have continually stressed that he is an intrinsic part of the balance of the universe, bringing death – and thus allowing for rebirth. There are marked similarities between Galactus and the MCU version of the Power Stone. In the MCU, the Power Stone is a purple Infinity Stone – Galactus’s trademark color – that, in ancient times, was used by the Celestials to judge entire worlds. Significantly, the Celestials controlled the Power Stone by holding it within a staff, one with a crest shaped very similarly to Galactus’s helmet. Like Galactus, the Power Stone is inimical to life; the slightest contact with the Power Stone causes a living being to disintegrate. According to Avengers: Infinity War VFX supervisor Dan DeLeeuw, the Power Stone was most responsible for the “snap” that killed off half the life in the universe. “All the Infinity Stones have their signature color and appearance as a visual effect,” he pointed out. The effect used in the “snap” is deliberately designed to be reminiscent of the Power Stone’s disintegration. It’s hardly difficult to retcon the Power Stone as Galactus. In the MCU, when Galactus emerged this cosmic entity could have been trapped within the Power Stone. Perhaps inspired by Galactus’ own consumption of worlds, the ancient Celestials decided to use the Power Stone to destroy civilizations they judged unworthy; the life energy of the worlds they judged would essentially serve as a sacrifice to the Power Stone’s insatiable hunger. That same hunger would explain why the Power Stone cannot be touched by a living being; it devours the life energy. Ironically, if that’s the case Thanos presented the Power Stone/Galactus with a buffet in Avengers: Infinity War, instantly sacrificing half the life in the universe to it. This retcon would allow Marvel to effortlessly weave Galactus into the history of the MCU. If breaking the Power Stone open were to release Galactus, then at a stroke it would add one of the most powerful and iconic cosmic characters of all into their shared cinematic universe. The Phoenix is a cosmic force of death and rebirth, burning away anything it considers stagnant and unleashing the potential for change and evolution. As such, it’s traditionally associated with the X-Men; in Avengers Vs. X-Men, a spectacular release of the Phoenix Force reactivated the X-gene all across the planet, granting a rebirth to the mutant race. Even the Mind Stone’s mysterious tie to Scarlet Witch and Quicksilver fits into this retcon. Wanda’s powers make a measure of sense; exposure to the Mind Stone could have unlocked the powers of her mind, granting her telepathy and telekinesis. But Quicksilver’s have always seemed a little strange. Why would the power of the Mind Stone give someone superhuman speed? The answer this retcon would suggest, is that Wanda and Pietro were latent mutants, people with a dormant X-gene. Exposure to the Mind Stone simply triggered their X-genes, activating their mutant powers. This also neatly explains why Strucker only created two “enhanced” individuals; though he didn’t know it, none of his other test subjects possessed a dormant X-gene. If Marvel retconned the Mind Stone as the Phoenix Force, then its destruction could become the birth of the mutant race. 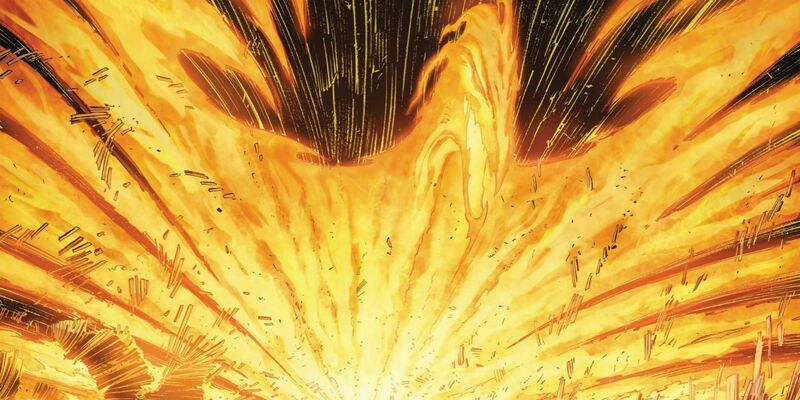 Just as in Avengers Vs. X-Men, the release of the Phoenix could send a blast of Phoenix Fire across the globe, triggering dormant X-genes worldwide. Although if we’re bringing X-Men into the MCU, there’s some big picture concerns to be dealt with. These theories may fit into the history of the MCU remarkably well, but it’s important to remember that they’re retcons. 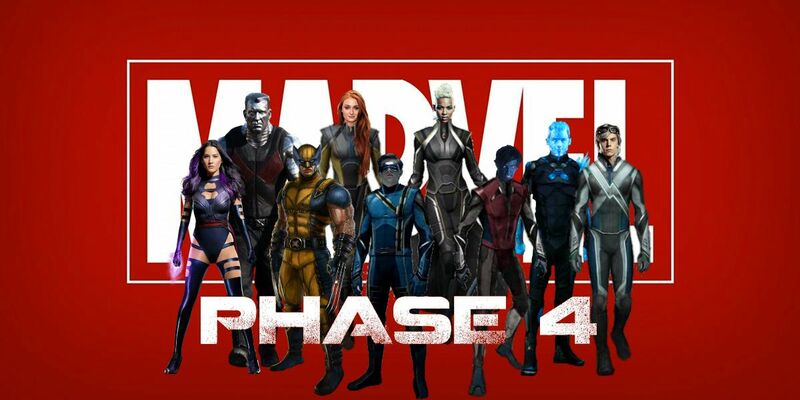 Back when the MCU started, Marvel had no idea they’d one day be looking at a time when the X-Men, the Fantastic Four, and all their assorted characters would be returning to Marvel Studios. In fact, attempting to seed these franchises and characters in the MCU would have been a breach of contract between Marvel and Fox, causing a lot of legal wrangling. That’s even true now; until the Fox/Disney deal is finalized, no X-Men-related projects can be even glanced with. That’s a challenge when dealing with characters that are typically long-standing parts of their world like the X-Men, and where a nifty retcon comes in. Indeed, this offers solutions to many of Marvel’s greatest problems. The first is that they provide a way to resolve the plot of the Infinity Stones once and for all, to shut them down so there’s never a repetitive plot in which another super-villain attempts to acquire one of these six MacGuffins. But they also turn the destruction of the Infinity Stones into an act with cosmic repercussions, unleashing entities the universe hasn’t seen in billions of years. If Galactus and the Phoenix Force were trapped in the Infinity Stones since before the days of the Celestials, then they’d be nothing less than legends, and the cosmic MCU would be shaken to the core by their return. But most excitingly, this repurposing of the Infinity Stones can explain the origin of mutants in the MCU. It can be that they always were there… just dormant. A blaze of Phoenix Fire could trigger latent X-genes across the globe, providing humanity with the evolutionary kick-start to give birth to the mutant race. This would be particularly helpful to the Maximoff twins. Back in 2015, comic book readers were annoyed to realize that the MCU versions of Quicksilver and Scarlet Witch weren’t mutants; these retcons would rather reveal that they were instead the first mutants to be activated by the Mind Stone. Kevin Feige has repeatedly stated he doesn’t have any concrete ideas for how franchises like the X-Men and the Fantastic Four can be added into the MCU at this stage, nor should he given the status of the deal. But these retcons demonstrate that he has a far easier task than many viewers think. The true magic of the Marvel Cinematic Universe is that it’s incredibly flexible, with so many ideas and concepts already in play that new ones can be tweaked and manipulated in order to fit into them. The Infinity Stones – the driving force behind the first three phases of the MCU – could yet prove vital to the franchise’s future.